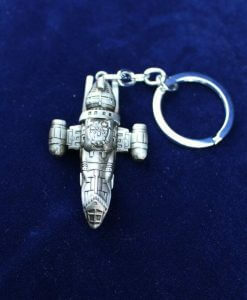 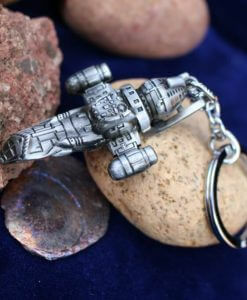 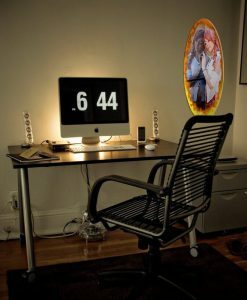 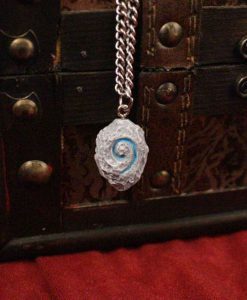 Set your hearthstone to any Inn you visit and just hold tight and think of home when you wish to use it. Use it while out of combat, or just pop your Paladin Divine Shield to get a reprieve from monstrous hordes! 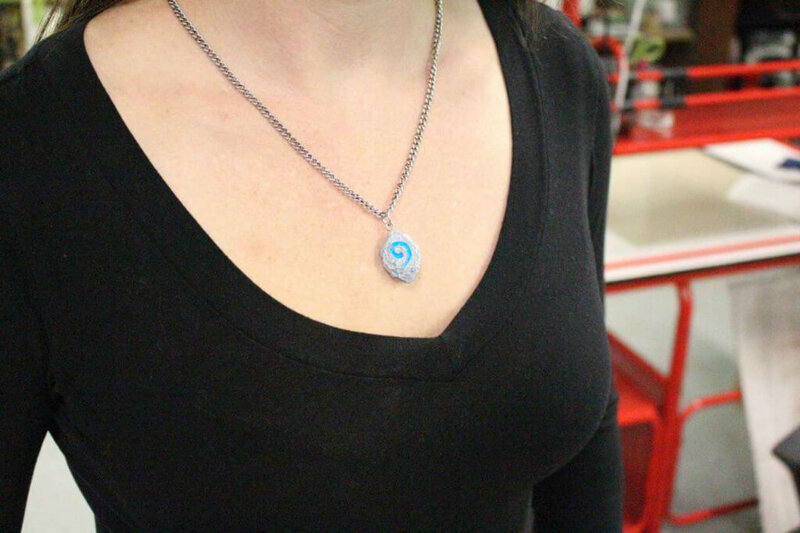 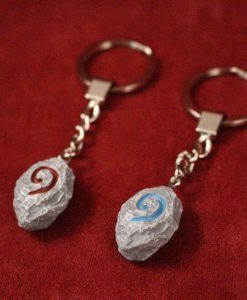 Inspired by Blizzard’s World of WarCraft and the infinite hours played therein, the Hearthstone pendant is a perfect addition to any gamer’s outfit or wardrobe. 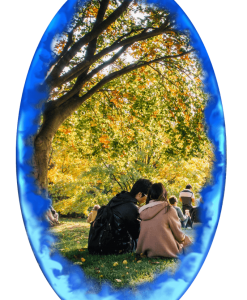 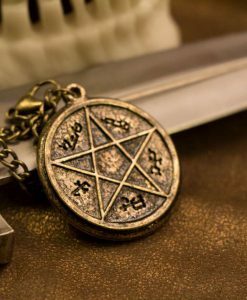 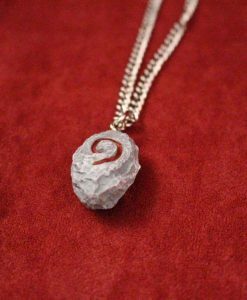 Used for teleporting to whatever location you bind as “home”, the Hearthstone pendant measures 1″ in diameter and comes with an adjustable chain for adventuring. 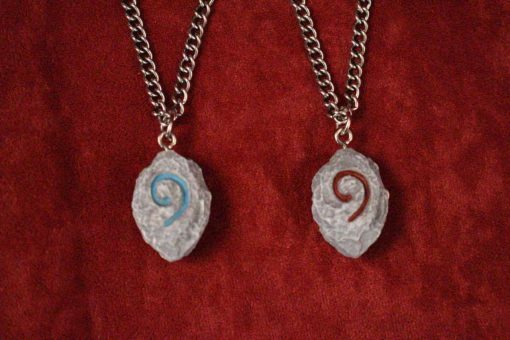 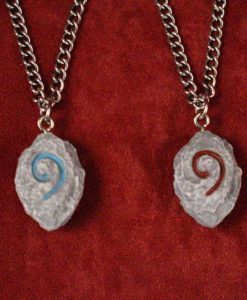 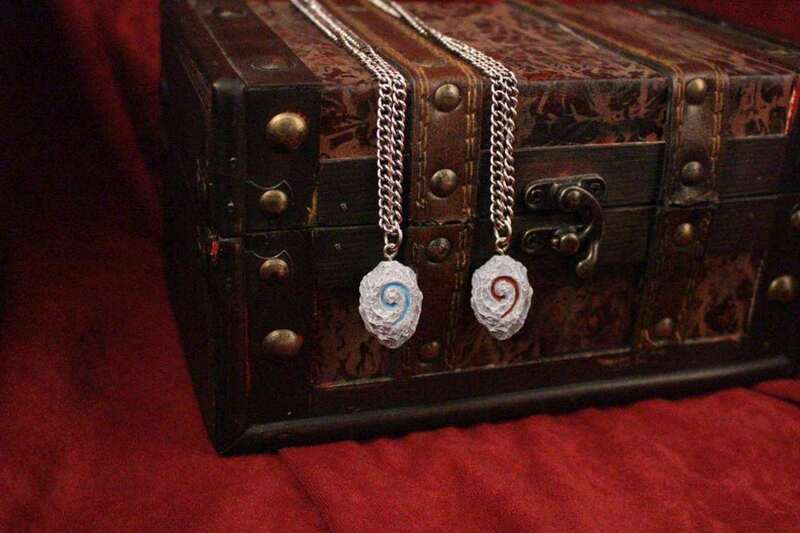 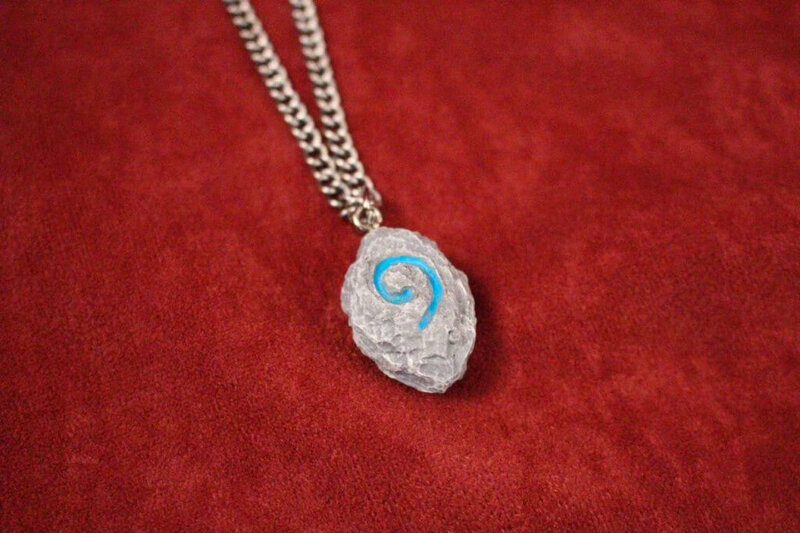 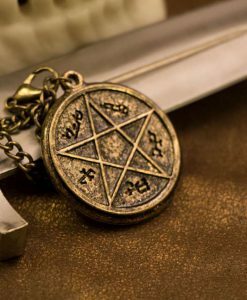 Unique, soul-bound, and available in both red and blue options, the Hearthstone necklace bestows a +2 stat and reputation boost to the various factions of your friends and peers. 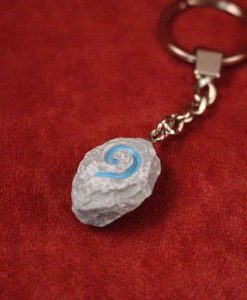 Set your hearthstone to any Inn you visit and just hold tight and think of home when you wish to use it. 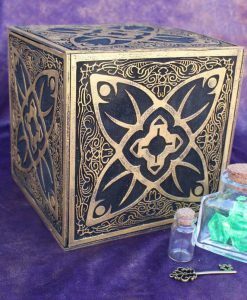 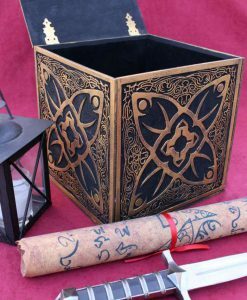 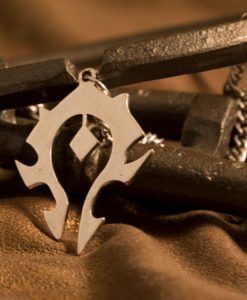 Use it while out of combat, or just pop your Paladin Divine Shield to get a reprieve from monstrous hordes. 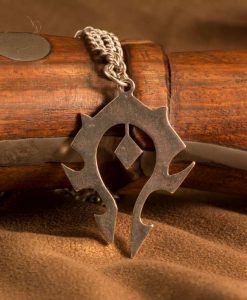 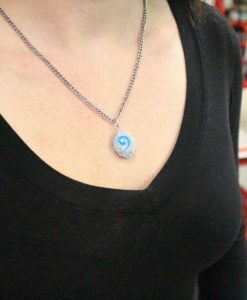 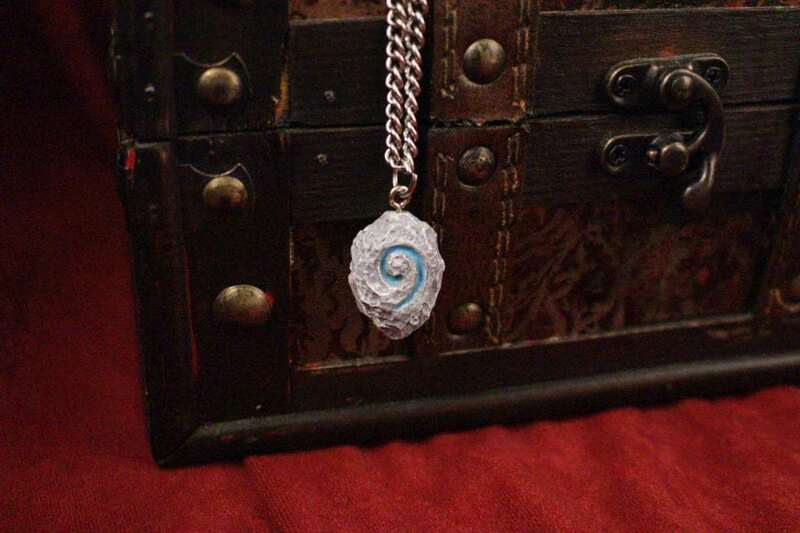 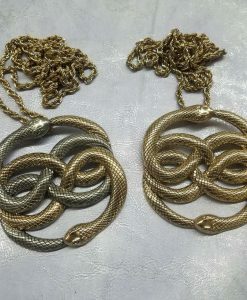 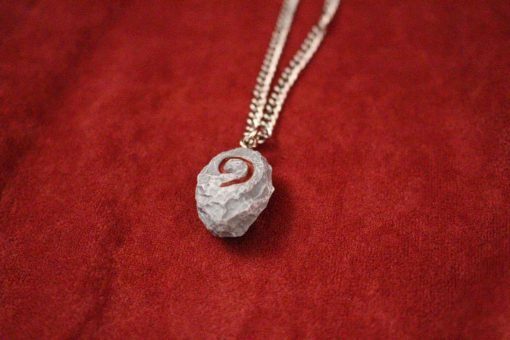 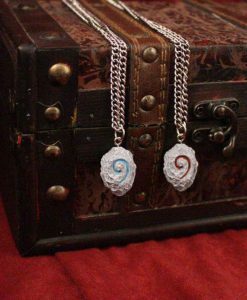 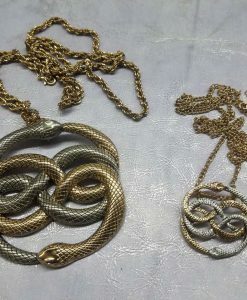 Infinitely more stylish than a Scroll of Recall, this Hearthstone necklace is the perfect thing for fans of World of WarCraft and WoW, regardless of their allegiance to the Horde or Alliance, and whether you’re Orc, Tauren, Human, Night Elf, Troll, Gnome, Goblin, Blood Elf, Pandaren, Worgen, Draenei, Dwarf, Undead, or any of the other races of Azeroth of Draenor. 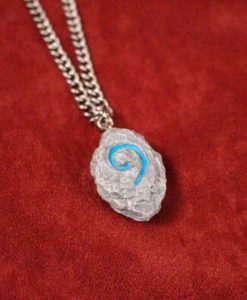 Whether you’re exploring old ruins in Outlands and Draenor, hunting down Lich Kings or blind (but not deaf) demon lords in the Black Temple, don’t forget to bring your Hearthstone pendant in case you run into trouble.